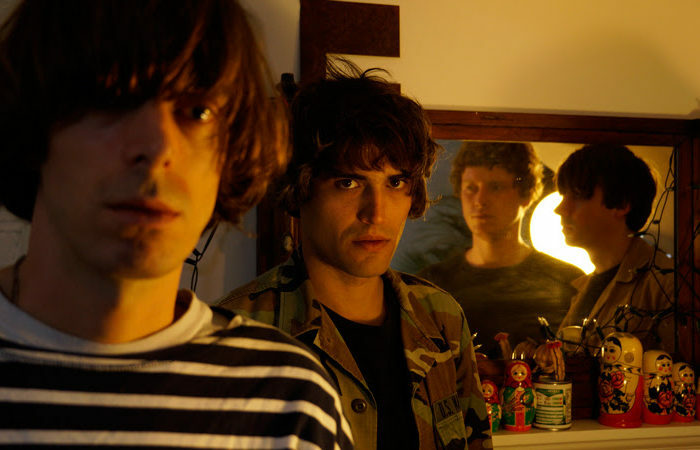 The Proper Ornaments – the project of James Hoare (Ultimate Painting, Veronica Falls) and Max Oscarnold (Toy) – announce the release of their second album. Foxhole will be released through Slumberland Records (US) and Tough Love Records (EU) on January 20, 2017. The first single from the forthcoming album is Memories, listen on SoundCloud. James and Max started out writing Foxhole, the follow up to the bands 2014 released debut album ‘Wooden Head’, in January 2015. On ‘Foxhole’ they’ve sliced away a whole stratum of their sound, removing some distortion and lowering the frequency of plectrum strokes to allow more nuanced, piano-led ideas to emerge. The title isn’t a reference to Television’s jaunty proto-punk record but seems to be more of a dark, protective interior, a head space sketched out on ‘Jeremy’s Song’. While their particularly recognisable production style remains, three things stand out as likely reasons for the shift in mood. By the time they got around to recording again in James’ bedroom in Finsbury Park that Summer, the instability around the recording of ‘Wooden Head’ (and the five years before) had slid into a deep and seething acrimony. Second, they both bought pianos. Third, when the band, with Daniel Nellis and Bobby Syme joining on bass and drums went to record at Tin Room in Hackney in June, the pinch wheel on the 8 track machine was broken and somehow no one noticed. All but one recording, ‘The Frozen Stare,’ was hopelessly warped, so they went and did it all again from scratch back at James’. Themes of their previous work have been picked up again and honed. The sense of being overlooked and isolated, inevitable change and drift particularly set in terms of age, predominates. Undercutting the feelings of forward movement are ones of a gnawing permanent stasis and confusion wrought by memory. It’s a sombre but also more direct and open effort, from its first number ‘Back Pages’ (‘See me on the back page/of last year’s modern age’) onwards.